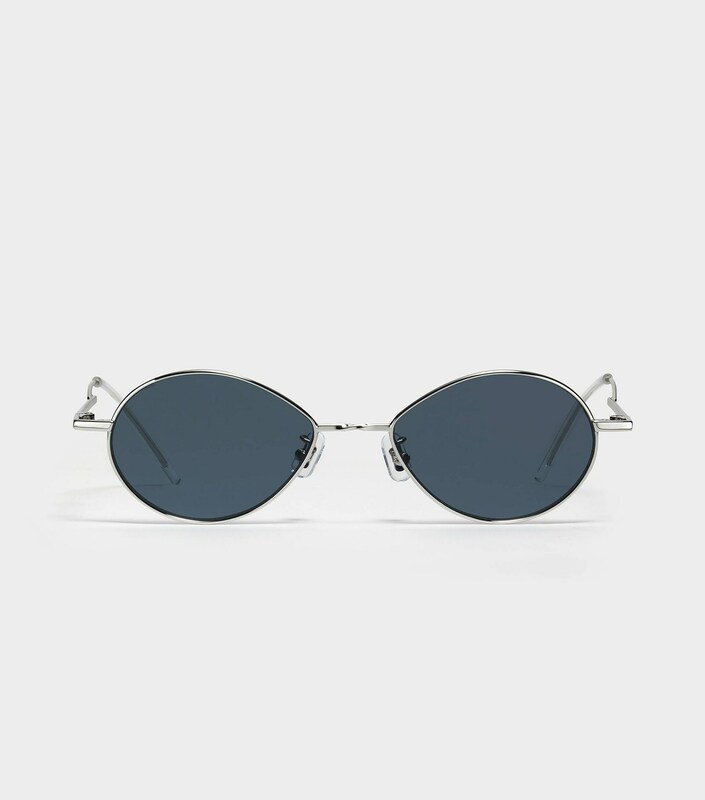 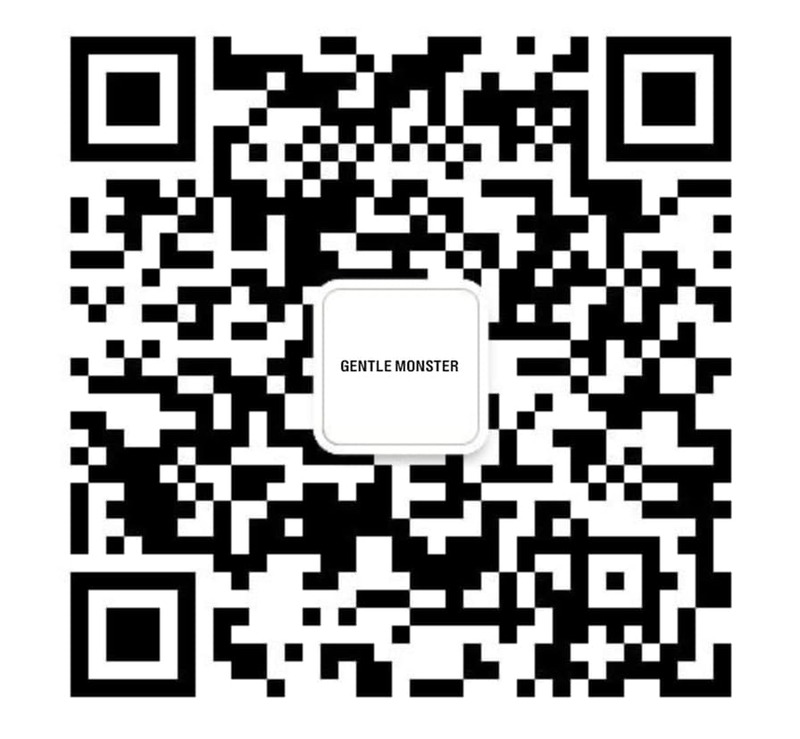 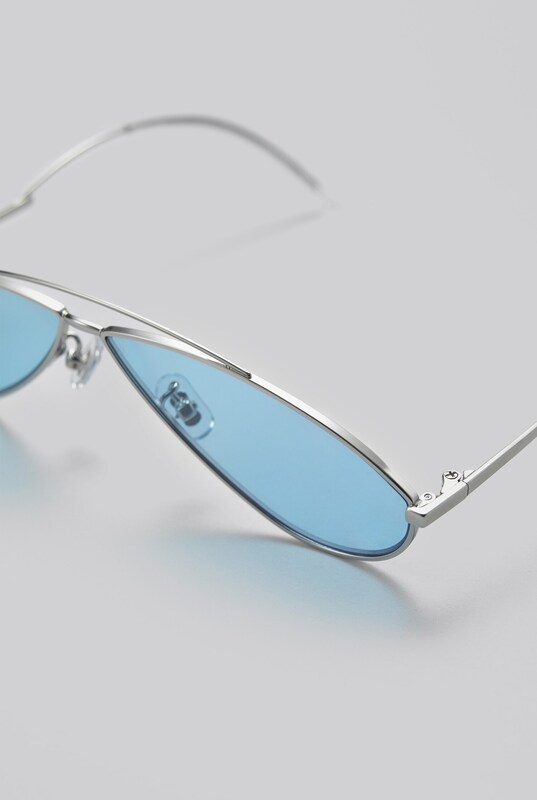 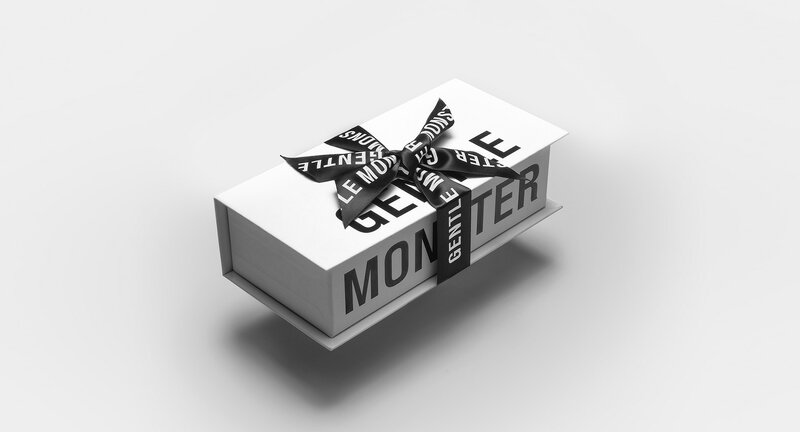 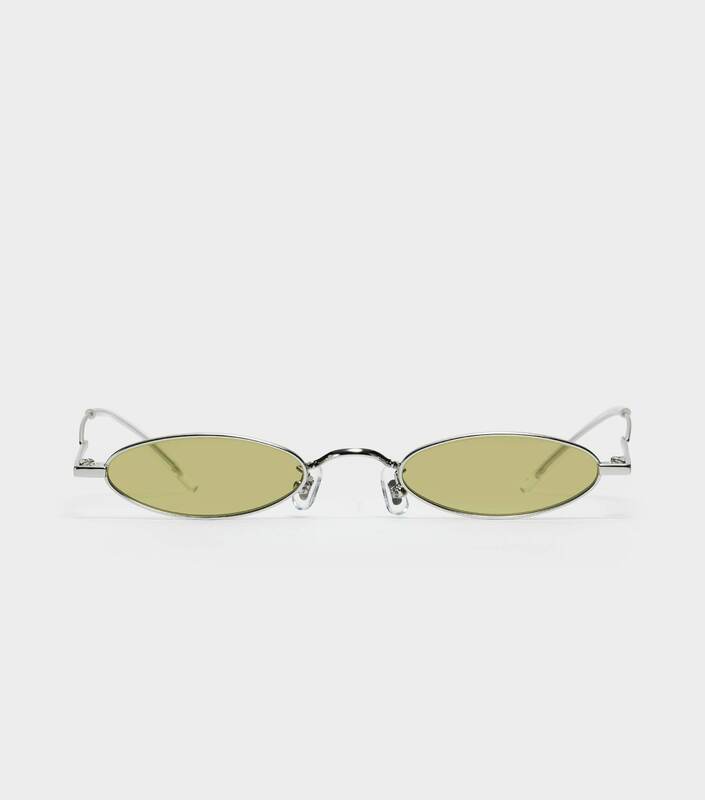 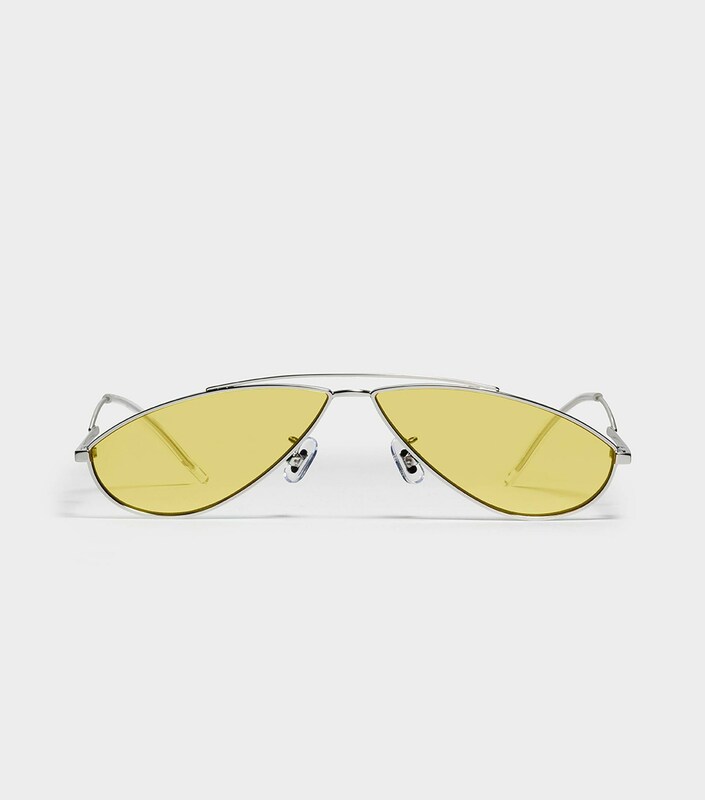 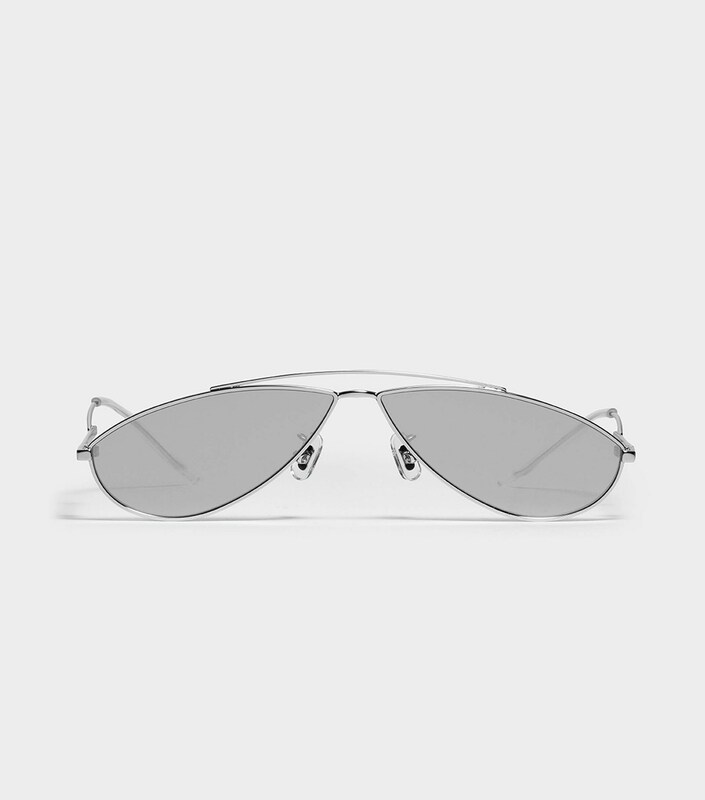 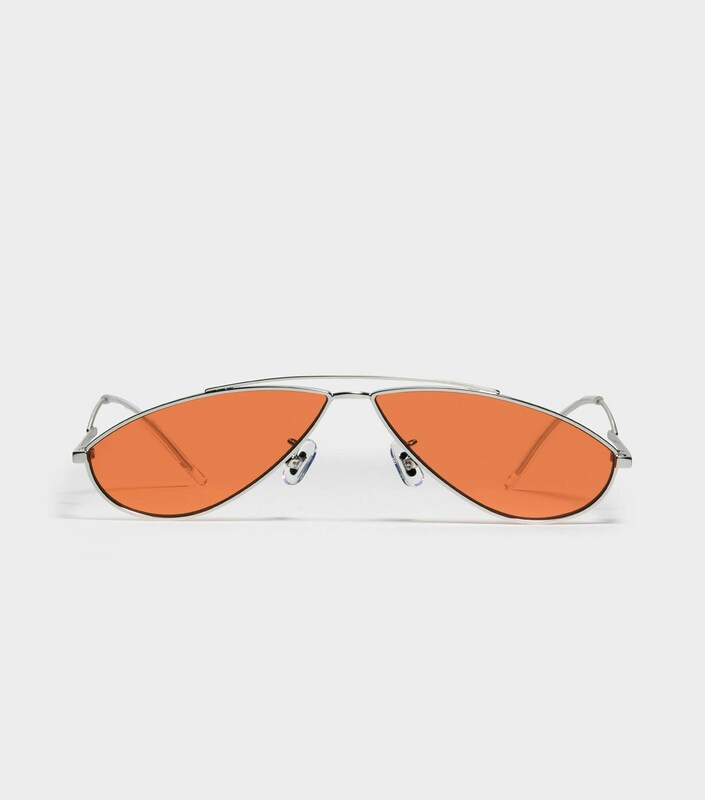 The Kujo 02(B) is a daring frame embodying much of Gentle Monster’s philosophy of high-end experimentation. 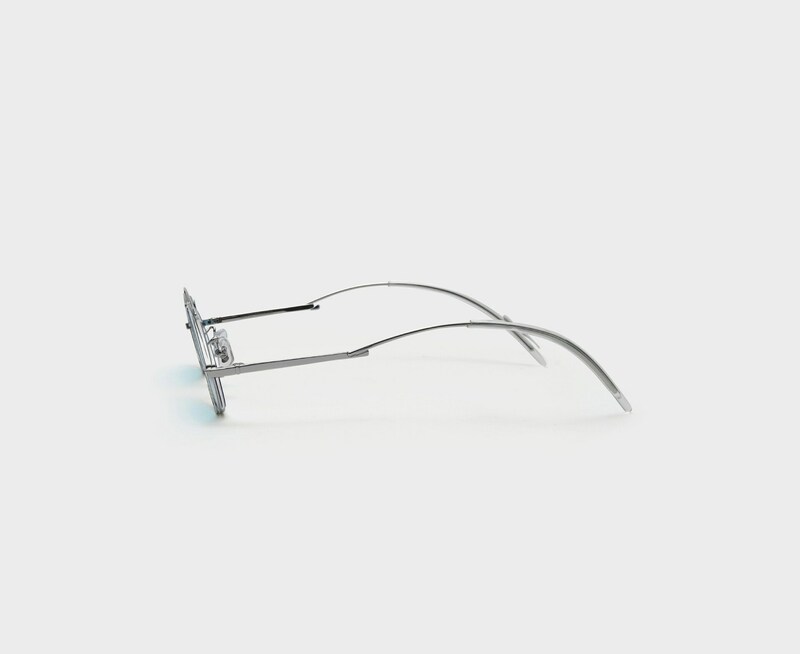 It’s drooped shape is handcrafted using stainless steel and monel in silver. 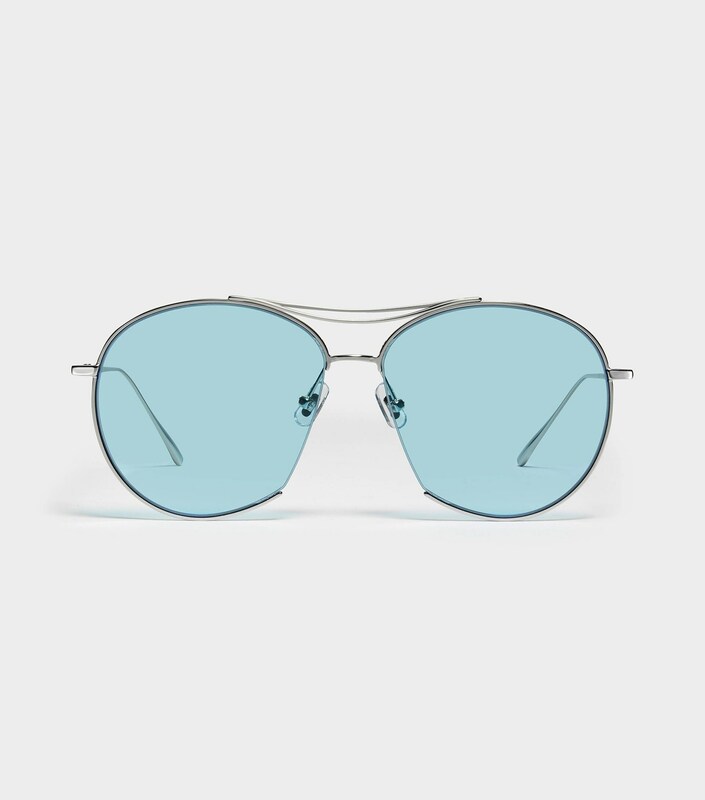 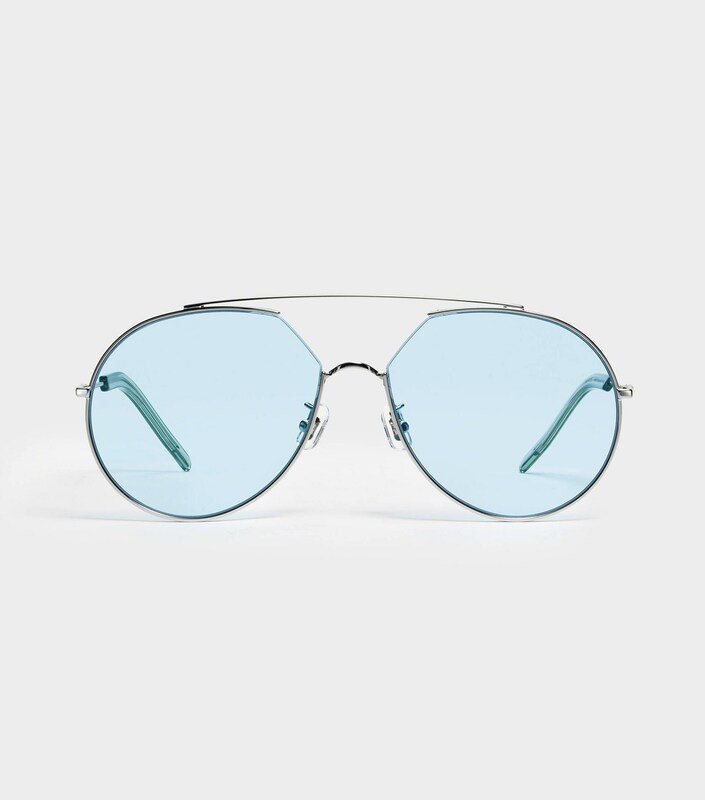 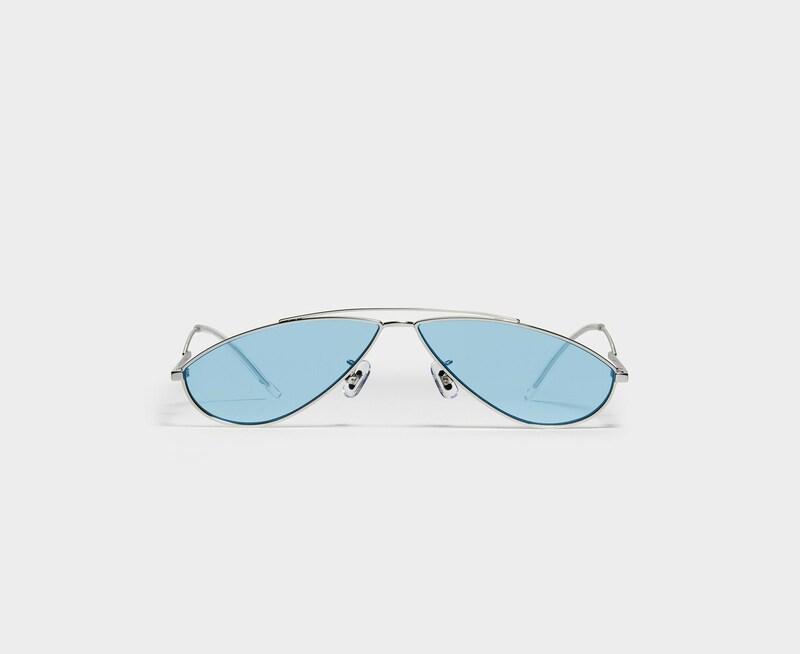 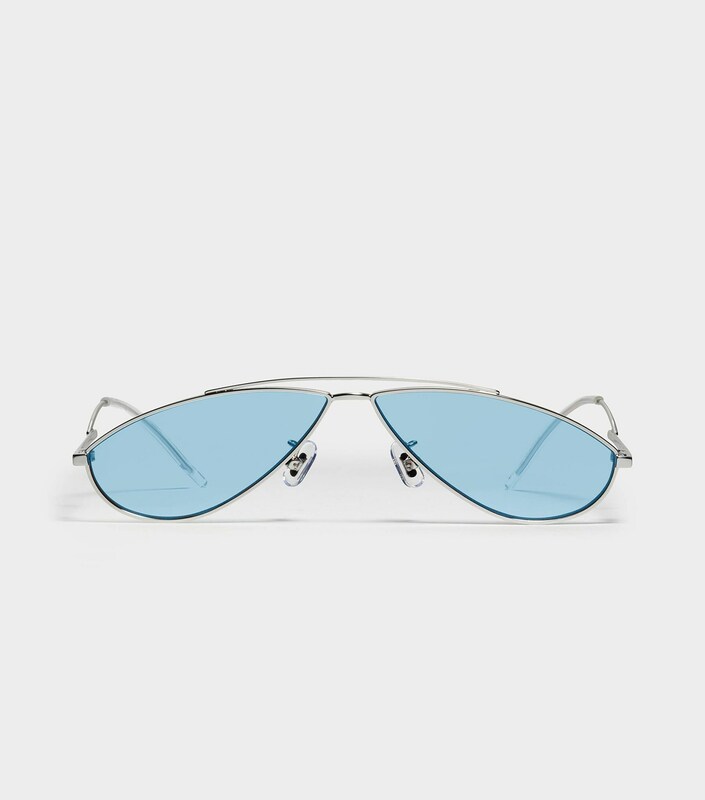 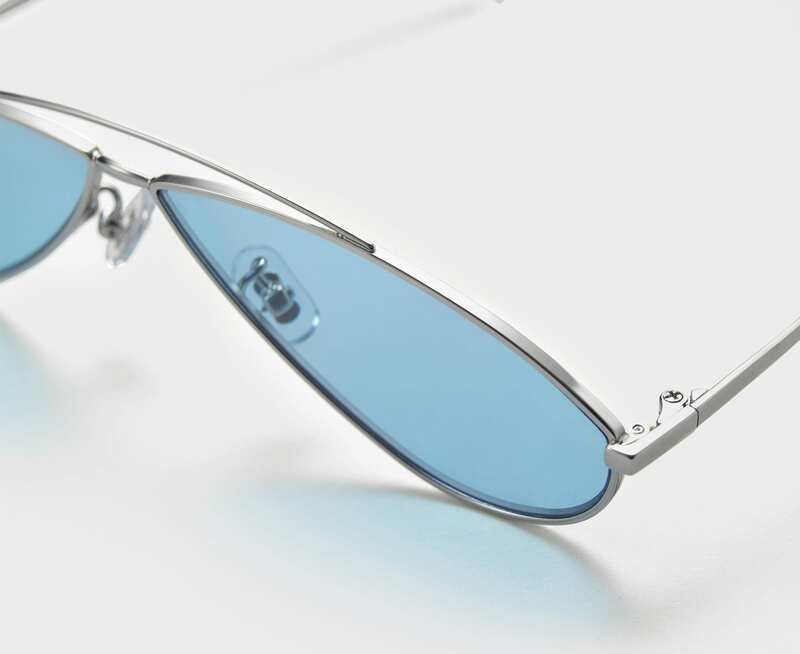 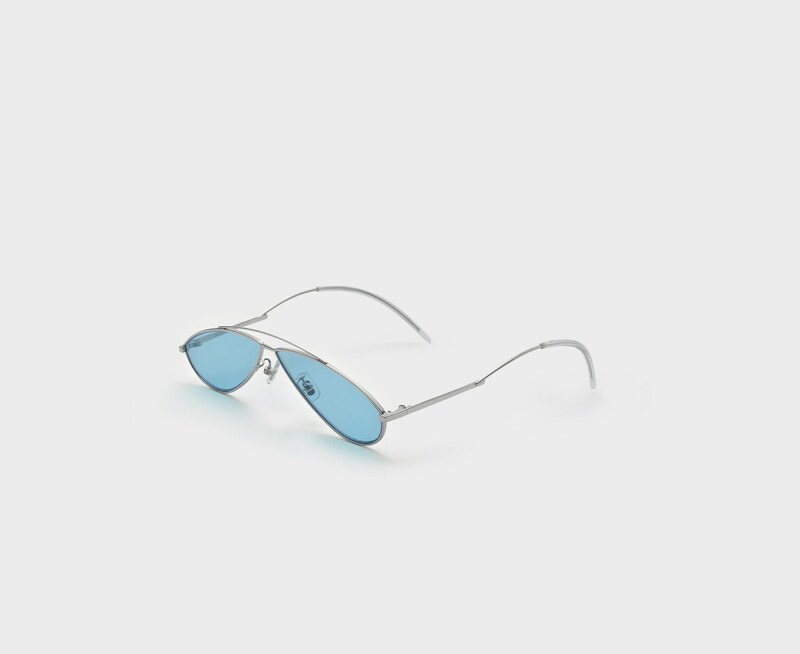 Clear acetae temple tips, adjustable PVC nose pads, and flat blue tinted lenses with 100% UV Protection complete this unique frame.